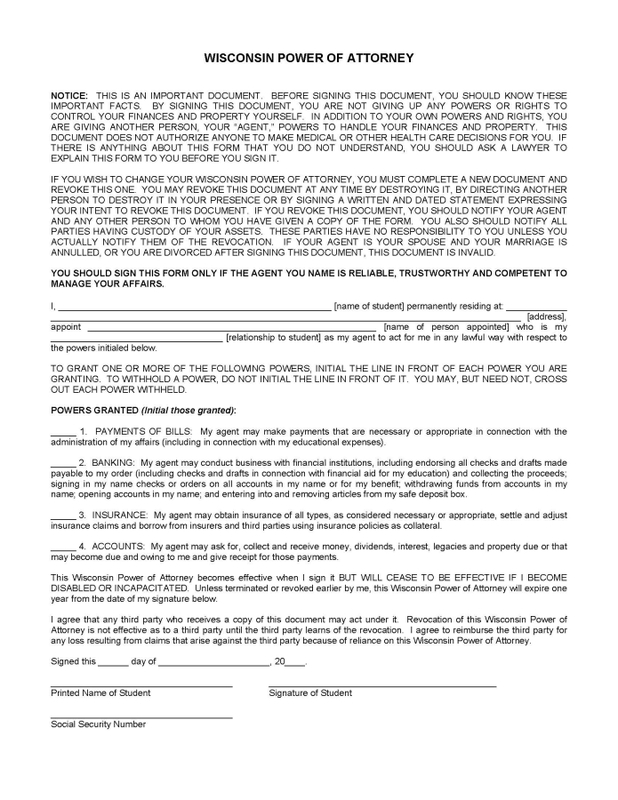 The Wisconsin Durable Financial Power of Attorney Form allows a person to select someone else to act to his or her benefit for any financially related action in the State. It is highly recommended due to the vast amount of power the Agent will have that a trusted family member or friend be chosen for this type of position. Make sure this form gets notarized with all parties present in order to make legal for use.